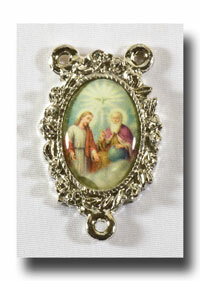 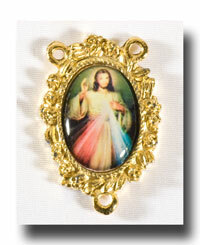 1 inch full colour picture centre of The Holy Trinity, God the Father, Jesus the Son, and the Holy Ghost. 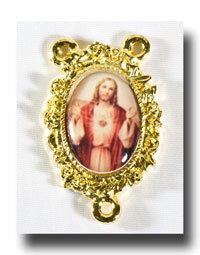 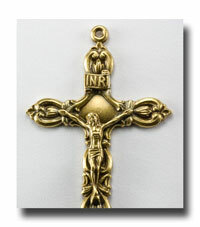 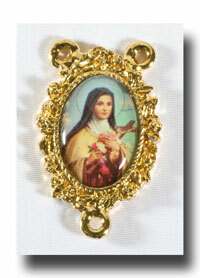 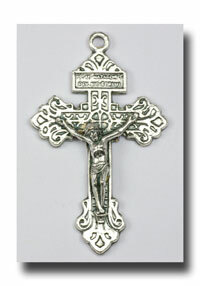 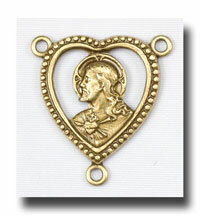 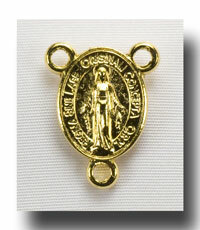 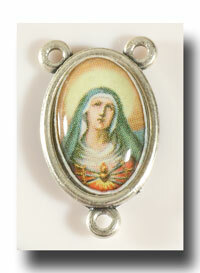 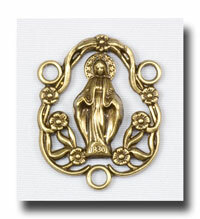 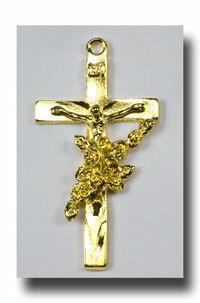 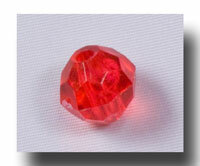 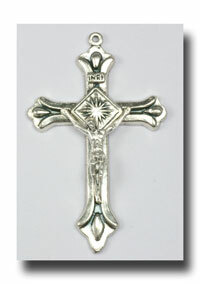 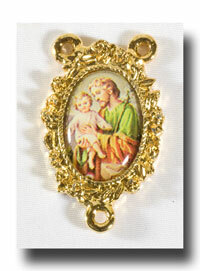 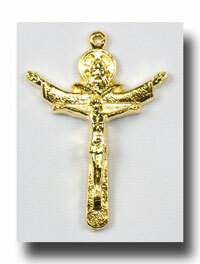 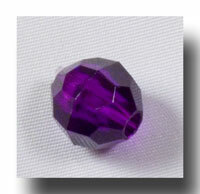 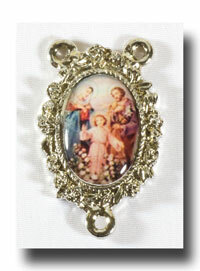 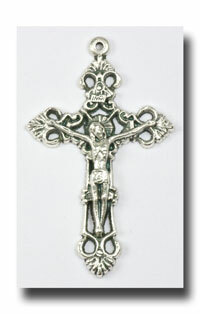 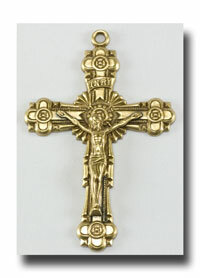 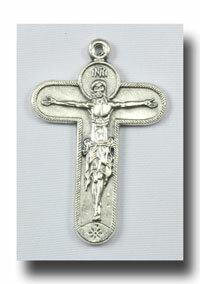 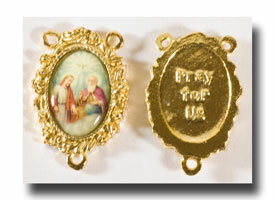 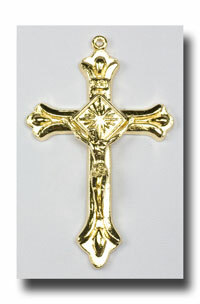 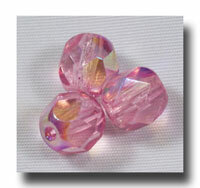 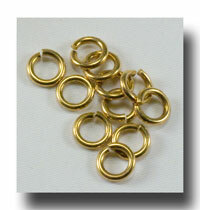 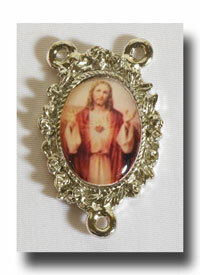 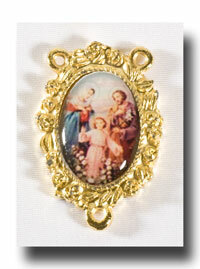 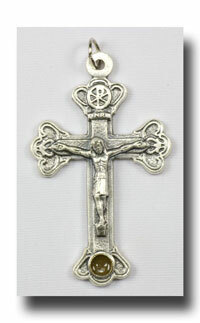 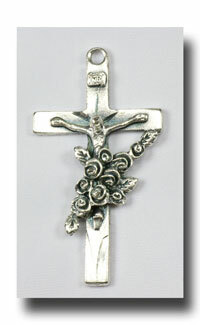 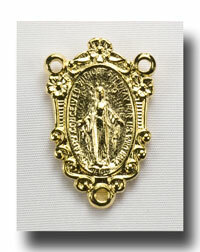 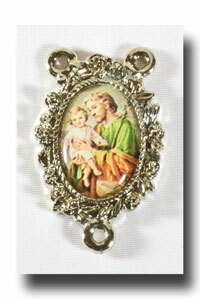 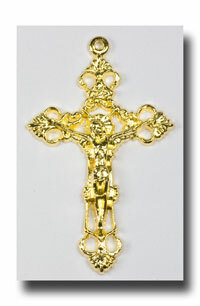 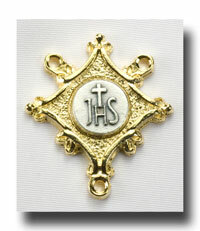 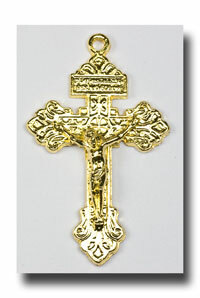 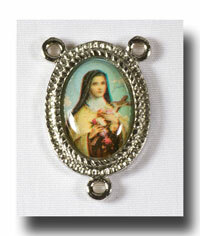 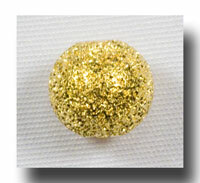 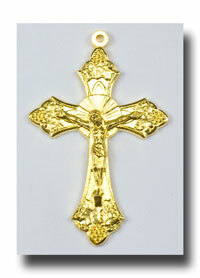 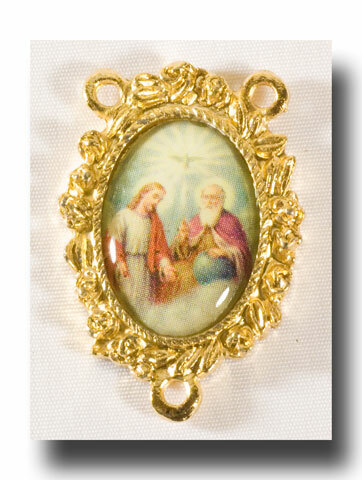 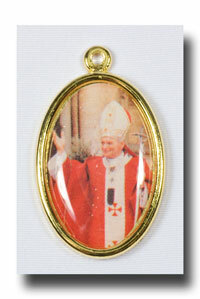 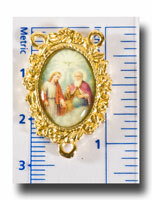 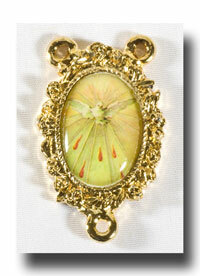 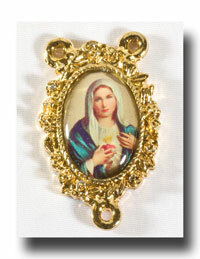 Set in an fancy and heavy gilt or gold-tone backing of lead free metal. 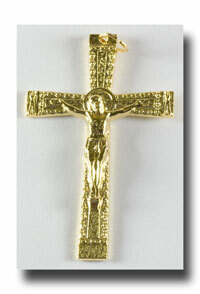 The reverse says PRAY FOR US.